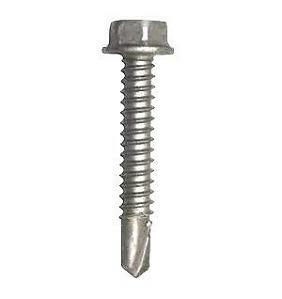 PRODUCT: Simpson X1S1016, Quik Drive #10-16 x 1 Inch, 5/16 HWH #3 TEK, Zinc Plated Steel to Steel / Stiching Screws. Strip Collated. 1500/Box. Price/Box. Quik Drive auto-feed screw driving systems are ideal for standing-seam metal roofing because the Precision Placement nosepiece cuts installation time and the collated fasteners eliminate handling of individual screws. 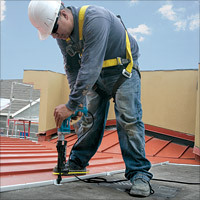 Simpson Quik Drive PROPP150 Standing-Seam Metal Roofing Screw Gun System. Price/Each.